Enjoy the ocean, the sand and the woods. Blue skies and fields filled with cattle and corn. The peaceful everyday life. Hornbækhus is located in the centre of Hornbæk. An old fishing village in the Northern part of Sjælland. 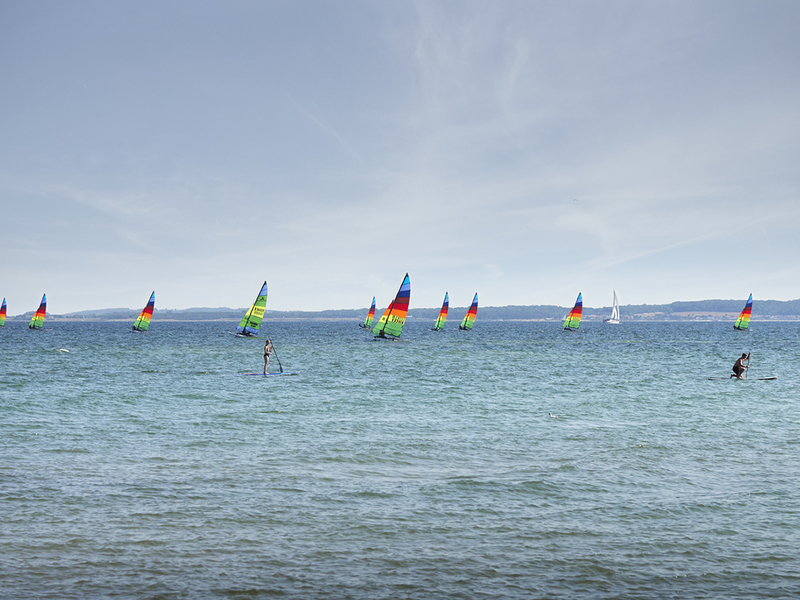 Only 40 minutes drive from Copenhagen and 13 kilometres from Helsingør. Hornbæk has approximately 5.000 residents. Even more in the summer. The shops and local restaurants are open all year around. If you borrow one of our bikes you can take a trip to Hornbæk Plantage. A forest area along the coastline with hiking routes and wildlife. You can also drive a few kilometres up the coastline to Rusland. 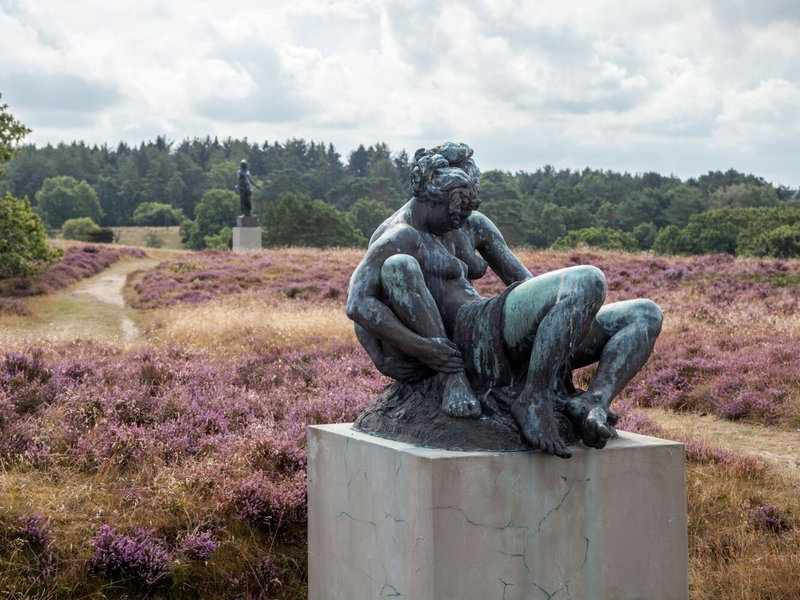 A protected heathland with heather-covered hills overlooking Kattegat and the Rudolph Tegner Museum and Statue Park. 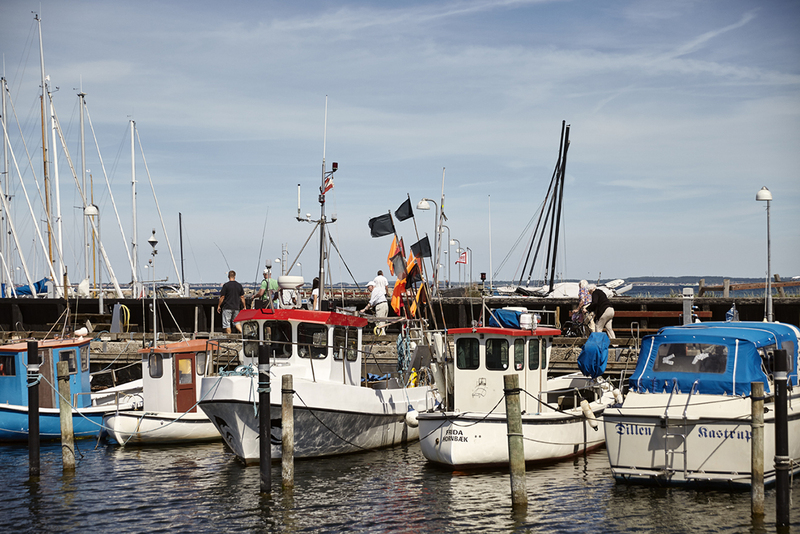 The closest larger city is Helsingør, where you can catch a 20-minute ferry to the Swedish city of Helsingborg. 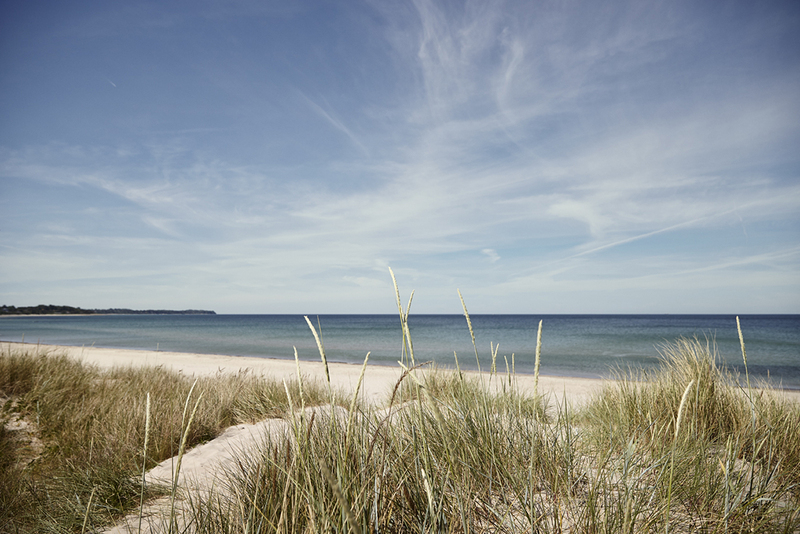 The area surrounding Hornbækhus offers nature experiences all year round. Hornbæk is famous for its sandy beaches. In fact, it is possible to walk all the way to Dronningmølle following the coastline called Nordkyststien. On the outskirts of Hornbæk you will find Hornbæk Plantage. The forest was planted in 1793 and is full of ancient trees, relics of the past, martens, foxes and deer. A few kilometres up the coastline the wild heathland of Rusland appears with elevated heather-covered hills and a view of Kattegat. This is also the location of the Rudolph Tegner Museum and Statue Park.